Inquiry: How can we engage our students in Aboriginal literature with the intent of a relationship with other students in another school? We used the money from this grant to purchase microphones and headphones for a school in our zone, Hart Highlands. Many of our students, especially primary students are on buses for an hour and a half. They live in quite isolated communities and have little interaction with their peer group or children their own age. We hoped that by teaching the students how to skype, a free access to face to face conversations we would build connections within the school and provide a skills set that could be used independently. As well, we hoped to encourage an enjoyment of literature. Many students only read when directed by the classroom teacher and viewed reading as the precursor to a writing task. We wanted students to enjoy the Aboriginal stories and respond with art of crafts, or through discussion. We wanted a separation of literature as part of the curriculum and wanted it to be viewed as a pleasurable activity that led to interactions with others. We had a celebration with both schools – it began with drumming and we had Elders reading and telling stories. Aboriginal students were invited to participate in a story and snack time in the library once a week. The response to the story varied. Crafts were sometimes offered, or discussions among the students present. Students prepared themselves to interact on Skype. At the other participating school the same stories and activities were offered. On a separate day, after both schools heard the story, students Skyped each other and had conversations with each other about the story. We ended with a celebration with traditional Aboriginal drumming and dancing. Students enjoyed participating in the activity. It appealed more to primary students than to intermediate students. Some students investigated with their parents and installed Skype in home computers. This has enabled face-to-face communication with absent parents and siblings. The students indicated they wanted to try other forms of communication and a blog is being set up for the students to post on. This was a first step – the next step was exciting. Instead of only two schools participating, now four schools are participating. We are exploring Indigenous knowledge and have invited elders into the classroom. The team has grown from four teachers and one Aboriginal worker to eight teachers, four Aboriginal workers and an Aboriginal social worker. We meet almost every second week to plan activities and learning based on local culture. Our local reserve, Shelly, is very interested in our learning and we have had a Metis elder as well as Carrier Sekani elders support our learning. We continue to work with other schools in our zone to build our understanding of Aboriginal ways of knowing and how we can incorporate these ways into the learning that is taking place in our classrooms. We had a wonderful learning experience and discovered many educators in our zone with the same interests and goals as our own. Our students discovered another way to communicate and established friends from another school. Everyone participating in the process grew to respect the Elders, the stories that they told and the willingness of all to communicate with each other. Included in these projects are our Board Authorized (Locally-Developed) series of courses, called ‘Explorations in Lifelong Learning’. One of the teachers’ primary roles is to connect with local and regional individuals and organizations who are interested in leading learning workshops for groups of multi-aged secondary students under the themes of ‘Arts, Media, and Hobbies’, ‘Physical Outings and Events’, ‘Cultural Events and Community Connections’, and ‘Environmental Projects’. These workshops have opportunities built in for students to lead and design, and often take place beyond our school building. Some of the workshops that have taken place this year include local hikes, golf lessons and games, acting, art workshops with various media, digital sound engineering, construction and entrepreneurship, nutrition and physical fitness, curling lessons and games, the culture of India, martial arts, skiing, and computer programming. 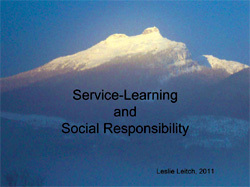 From Leslie Leitch, who teaches atNakusp Elementary in SD 10 (Arrow Lakes), comes to us the a power point presentation on service learning. Leslie worked with her Grade 6-7 students on a variety of community based activities intended to promote students’ understandings and appreciation of social responsibility. Click HERE for a .pdf of her powerpoint presentation. 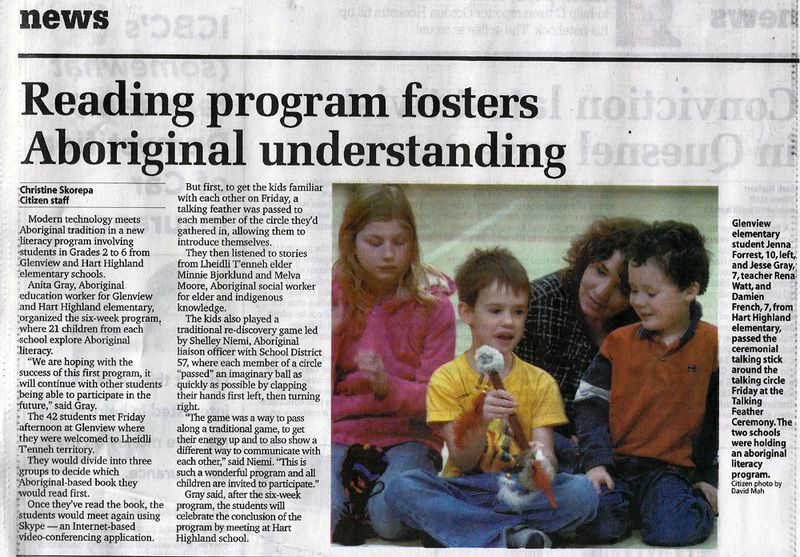 Deborah Kohen of Glenview Elementary School in SD 57 (Prince George) sent this scan of a news item describing the wonderful program of the exploration of Aboriginal literacy she and others developed. Click HERE for a good sized image from which to real all the text. 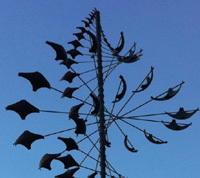 Projects which have received Innovative Practice Grants are beginning to submit to this site. This page is a compendium of them. For more information on the Grant program, please click HERE. Please feel free to comment below on the fine work we post here. Also, if you would like more information on any, don’t hesitate to contact us by clicking HERE. If you tell us a bit about yourself, and include contact information, we will forward inquiries to those responsible for the projects. Just love the design and the content – especially the school stories.Bravo! Network schools now have another great resource. We are a Toronto school looking to link up our Grade 2 classrooms with some rural Grade 2 classrooms to do some e-pals and rural vs urban comparisons.